Go through the different stages of our casting process and learn how we produce the best quality cast metal components for out clients. We produce casting components to meet all our client’s needs. 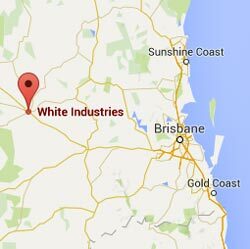 Here at White Industries we offer specialised expert advice on all your project specifics. This can range from product development and production capabilities and assist in design for effective manufacturing and cost control. We have the ability to accept product designs in most electronic formats. We also have an in-house metallurgist to advise in the selection of your materials. Qualified Tradesmen create precision patterns within our fully equipped Modern Pattern Shop using a range of materials; such as, timbers, epoxy resins or metal – all tooled to the clients’ specification. Mould design includes manufacture, heat treatment and machining of castings. All of our client’s intellectual property and patterns remain completely confidential. Our foundry offers high quality castings that are produced in both Clay-Bonded (Greensand) and Chemically-Bonded Sands. This allows for a diverse range of jobbing work through to high volume production. The primary moulding facility is a BMD (Badische Masschinefabrik Durlach Gmbh) Dynamatic Automatic Moulding line, manufactured in Germany by one of the world leaders in foundry technology. The production rating of this plant is 50 moulds per hour. White Industries also operate a series of “Jolt Squeeze” Greensand Moulding machines to cater for the smaller volume customer. We operate three High Intensity Continuous Flow Mixers in two separate loops for large and small jobs, supplying the chemically-bonded sand market. Our Non Ferrous facility caters for customers’ requirements with moulds made in both green and chemically bonded sands. We cast from a range of ferrous and nonferrous metals including carbon steels, low and high alloy steels, duplex stainless steels, grey irons, alloyed irons, ductile (SG) irons, white irons, austenitic manganese steels, aluminium alloys, gunmetal alloys, brass alloys and bronze alloys. We also have four PLC-controlled Heat Treatment Ovens with electronic recording of cycles, as well as two water quench tanks. This gives a full range of thermal treatments, including annealing, normalizing, hardening and tempering. White Industries operates three Shotblast machines for the cleaning of castings, removing sand and scale. Mechanised equipment is used to remove gating and risers, with grinding operations finishing the castings. An extensive CNC Equipped Machine Shop includes Mazak Multiplexes 6300 complete with gantry robots, CNC Mill/Drill Lathes, CNC Lathes, CNC Vertical Machining Centre twin pallet, CNC Horizontal Machining Centre twin pallet, Conventional Turret, Centre Lathes and Milling Machines. This diverse range of machinery, together with our skilled trades’ people allows for enhanced productivity and ensures conformance with quality assurance and quality work for our customers. It also enables us to produce a wide range of castings to precise measurements and machining of work-hardening alloys and alloy white irons. We can produce custom metal fabrication of small and large items; such as, grain buggies and cattle feeders. With our expert team of qualified boilermakers, we are able to undertake contract repairs and fabrication to plant and equipment. All of our fabrication work can be produced in a range of metals including stainless steel. White Industries is an ISO Quality Endorsed company and operates a quality management program to comply with ISO standard 9001:2008. Our in-house “Production Process Control” data sheets (which are completed for each individual job) complement the requirements of ISO 9001:2008. These data sheets cater for the standard type of workflow, together with any job/customer specific requirements.